One of the most important factors of any good business is to have an inviting storefront that will inspire curious customers to enter your domain. And in today’s competitive market, Chicago business owners cannot afford to ignore any detail of their business. Yet, we commonly see otherwise inviting storefronts with walls that are covered in dirt. Commercial power washing in Chicago can help. To help you avoid losing business because of your grimy, dirt-covered walls, we’ve put together this post on how to spruce up your building’s exterior. First, you’ll want to do a deep clean. Cleaning your building can be a pain. Fortunately, you have the option of a commercial power washing in Chicago from places like Prime Time Window Cleaning. Add a window cleaning to your power wash and your building will sparkle like new. Plus, with a window cleaning, you get the added benefit of a warm and inviting exterior. Your product display, well-designed signs and decorations will reflect all the hard work you put into setting them up. Let the light in… And out. 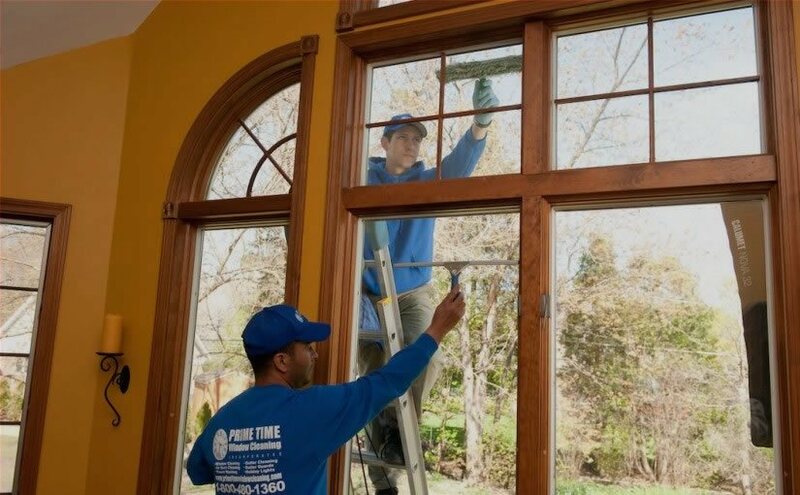 With clean windows and walls, you’re on your way to a beautiful storefront. But to take it to the next level, you’ll want to invest in additional overhead and portable lighting. Technically, this will be inside your store, but it will add sparkle to your storefront. If your goal is to bring your storefront to life, then you need a professional to handle cleaning the exterior. Handing the task off to a store staff person who lacks the proper tools and training to do the job right will not get you very far. Entrusting the job to a trained professional will ensure that the walls are hit hard enough to be cleaned, but not so hard that the walls sustain damage. So why wait? Schedule a power wash today! For the best commercial power washing in Chicago, contact the professionals at Primetime Window Cleaning. 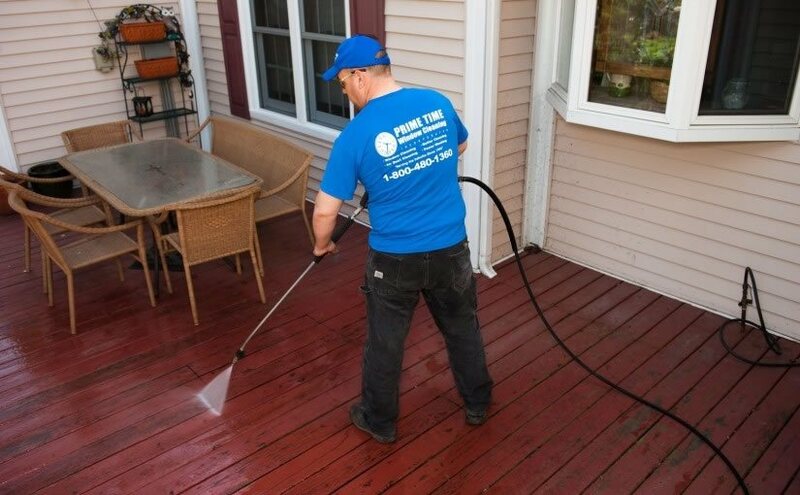 With years of experience under our belt providing commercial power washing in Chicago, we’re always ready to help. With other services including window and gutter cleaning, you won’t need to call anyone else to spruce up the exterior of your storefront and start turning heads. To learn more about how Prime Time has been helping your neighbors in Chicago, visit us on our website. Or give us a call at (855) 635-5591 to schedule your next power wash today!